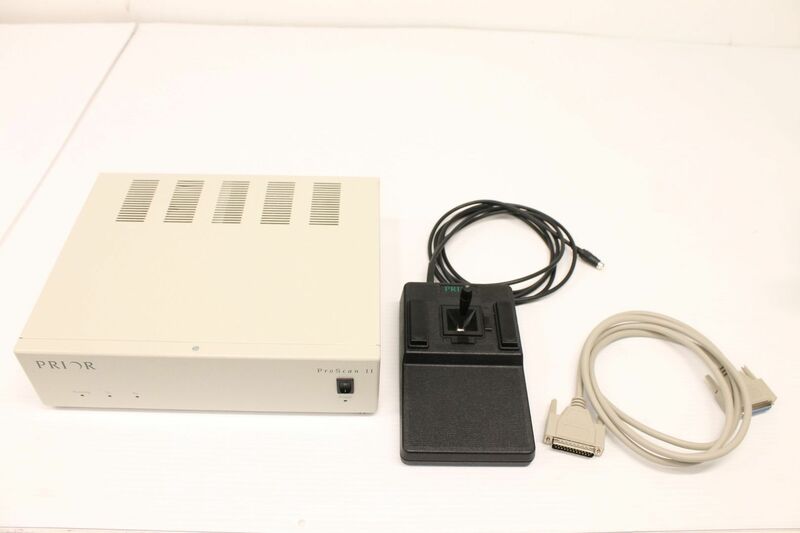 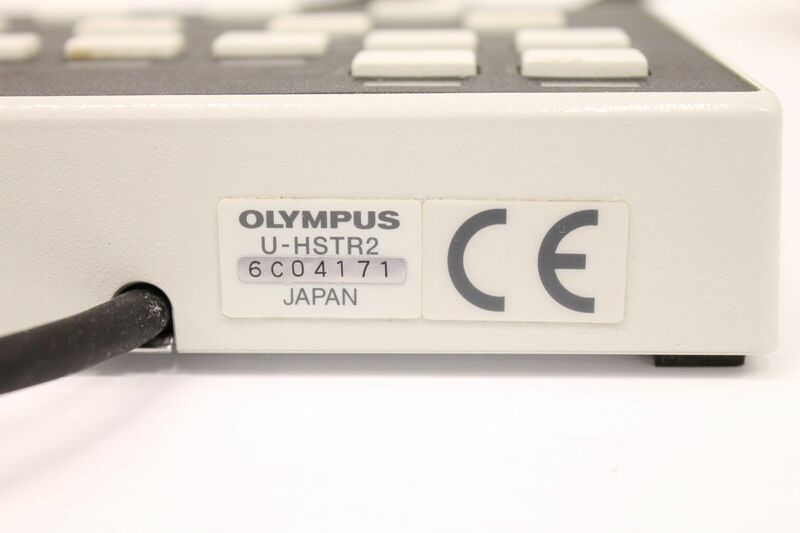 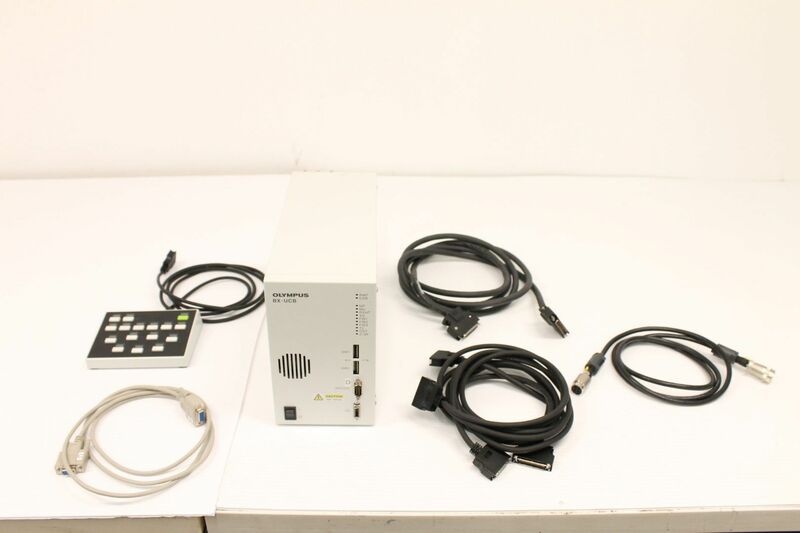 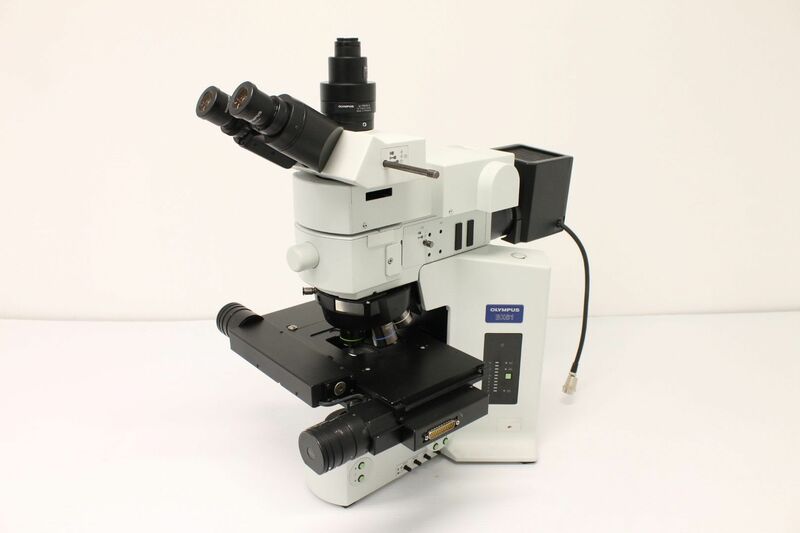 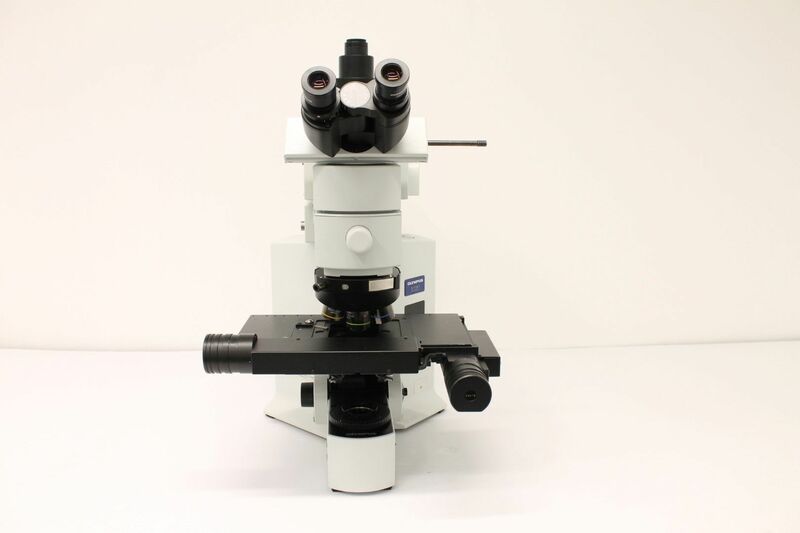 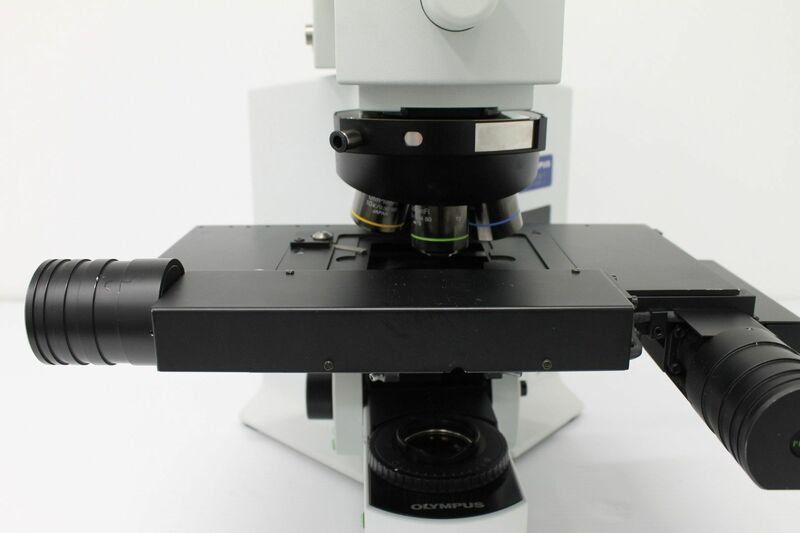 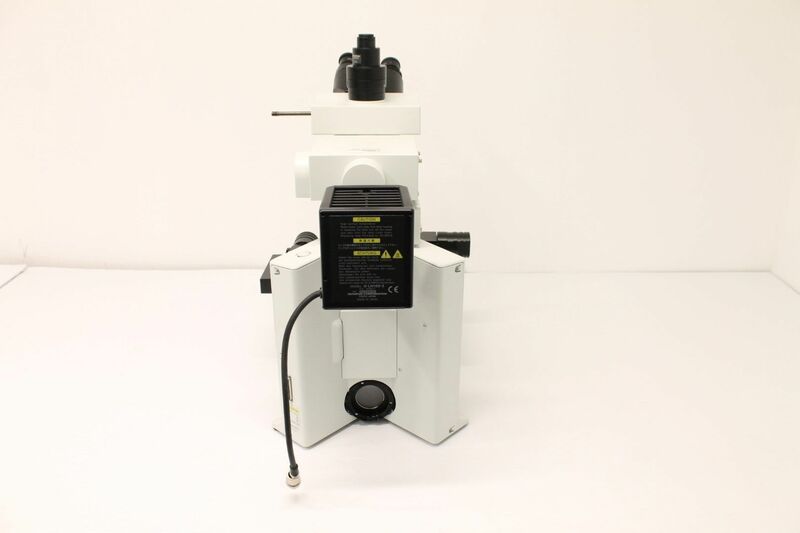 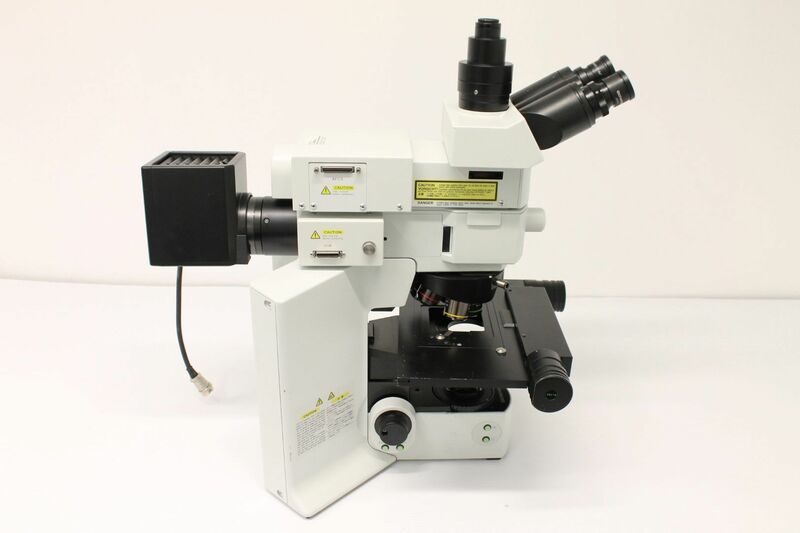 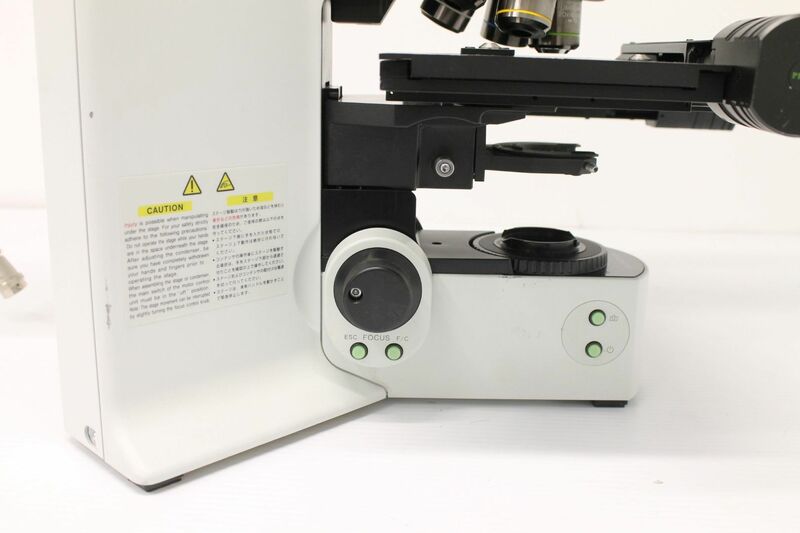 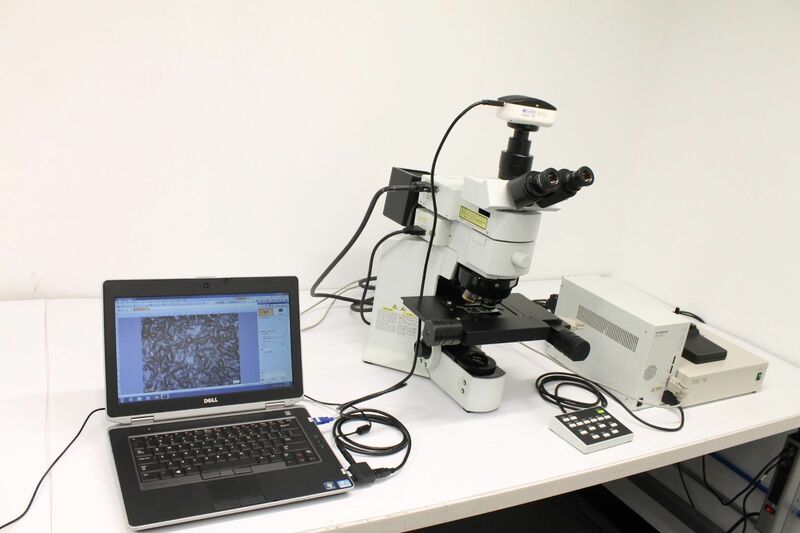 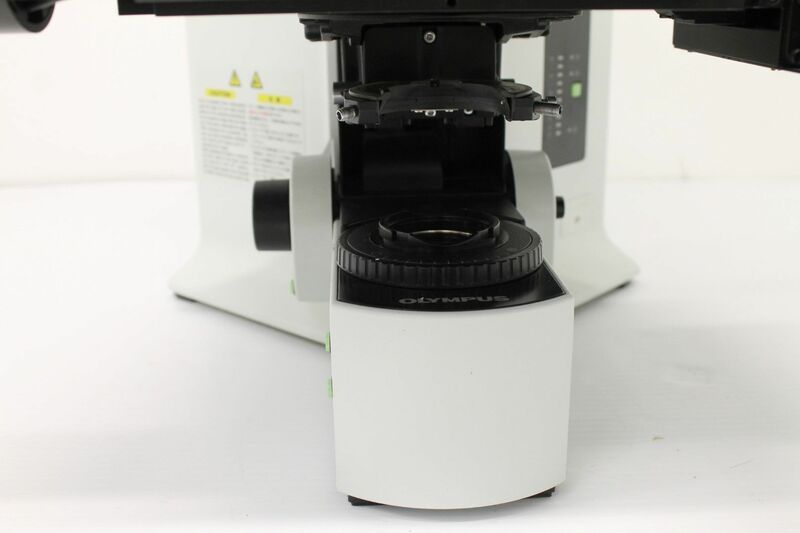 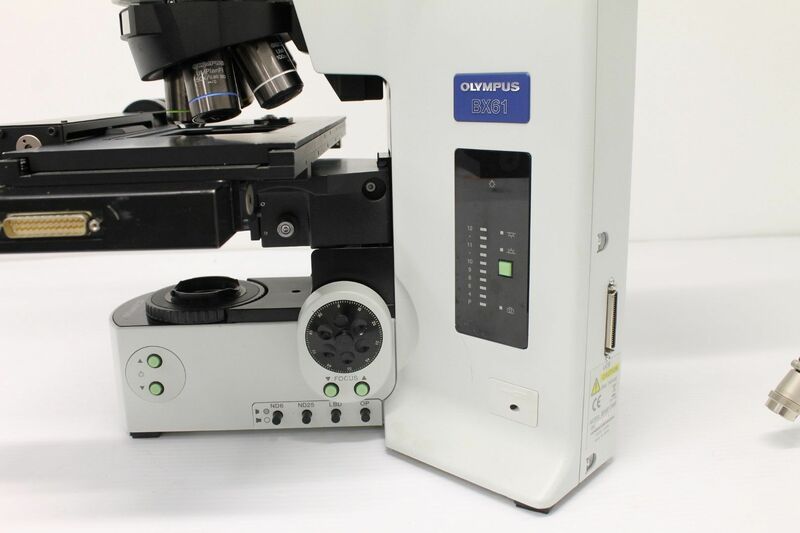 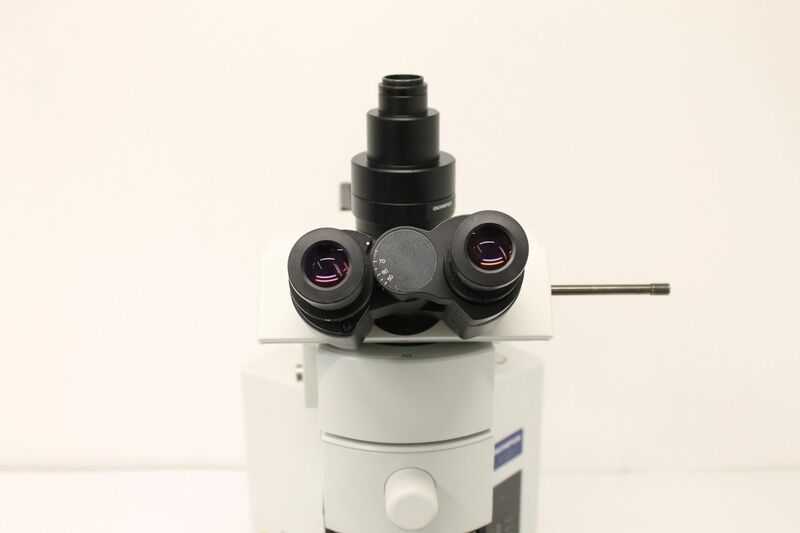 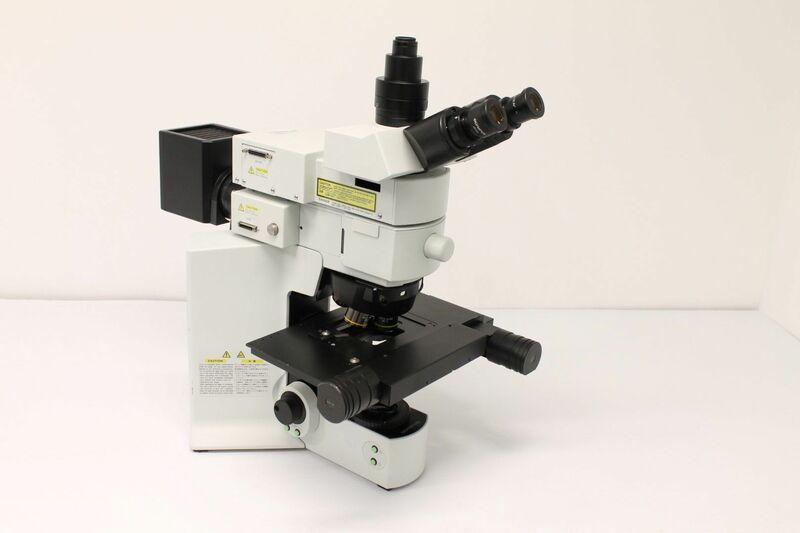 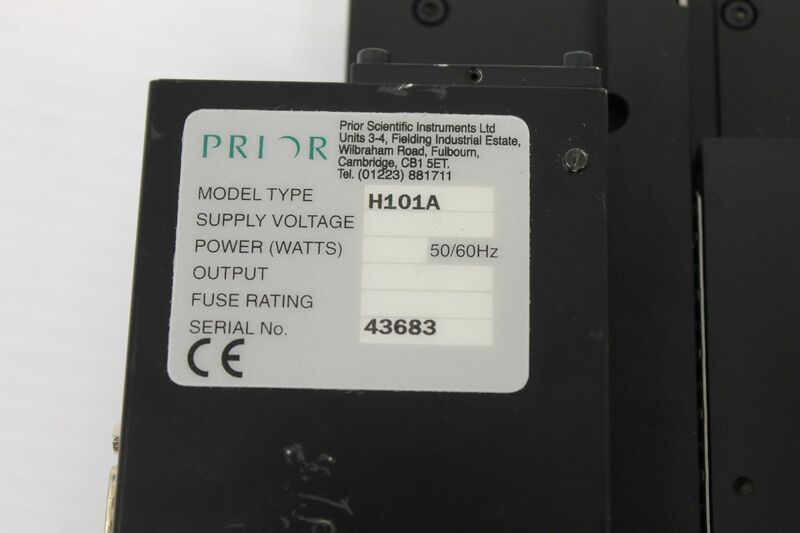 This Olympus BX61 Microscope is in good working order with all aspects tested and fully working. 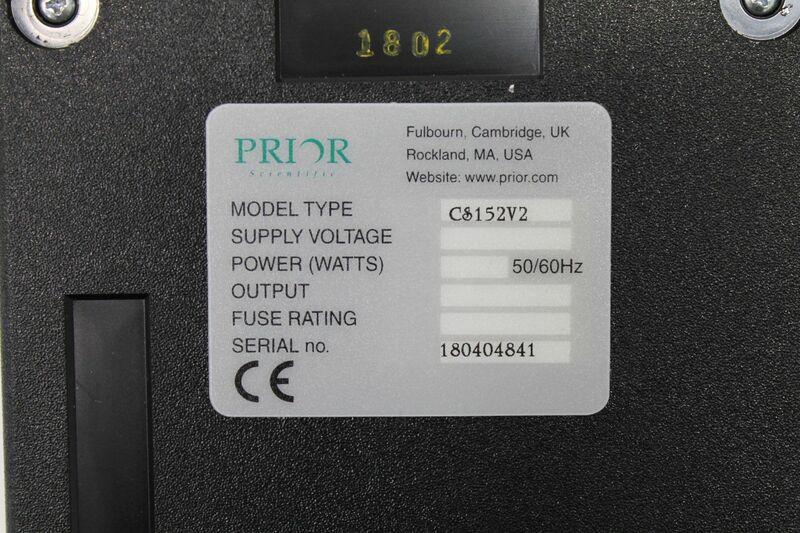 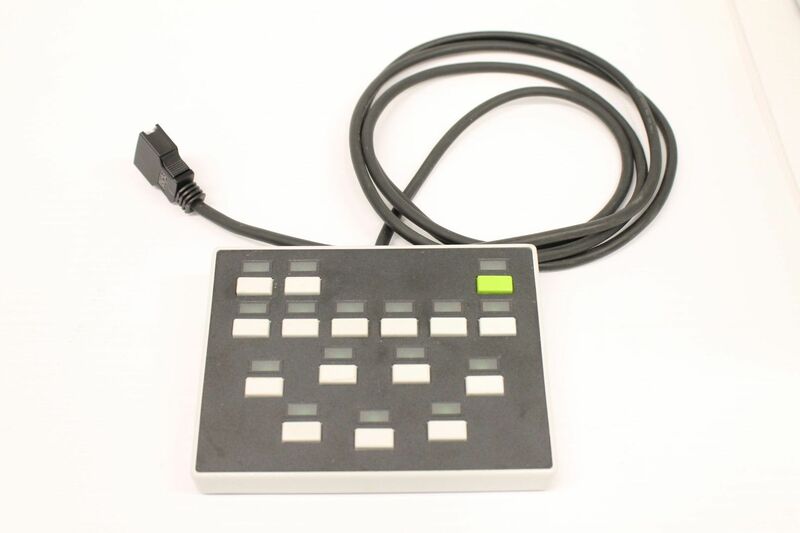 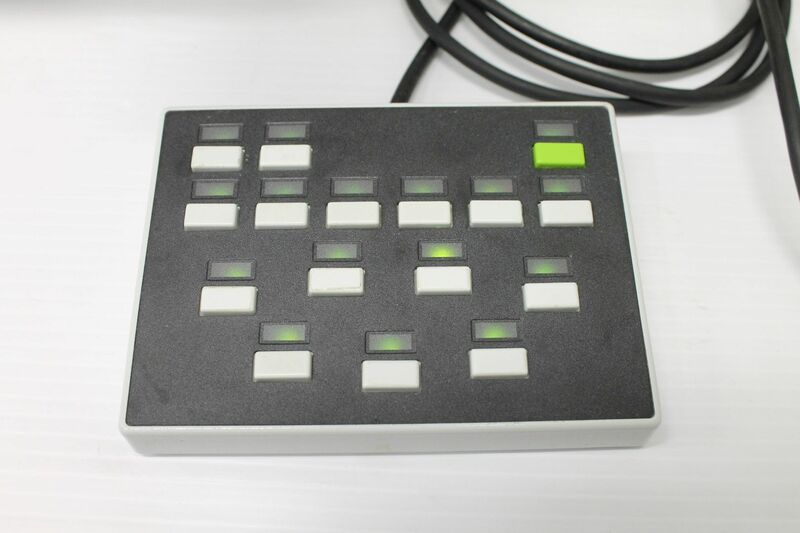 Tested Control of all buttons and switches to be working fully. 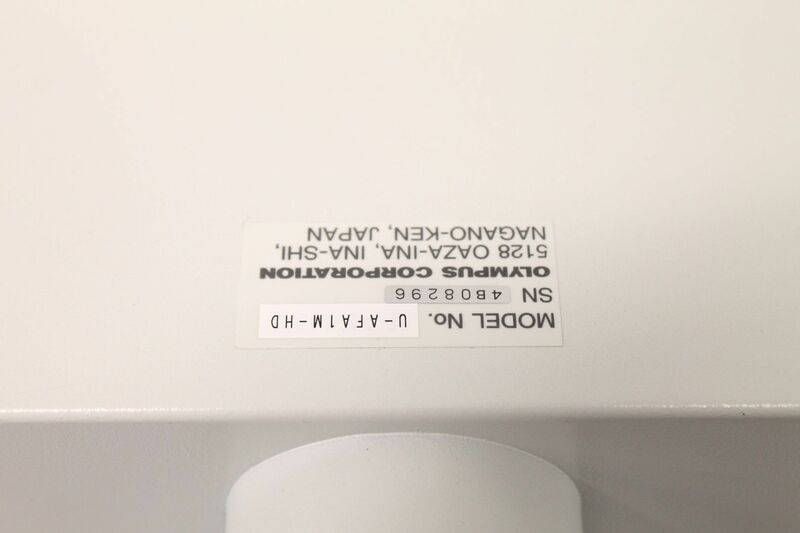 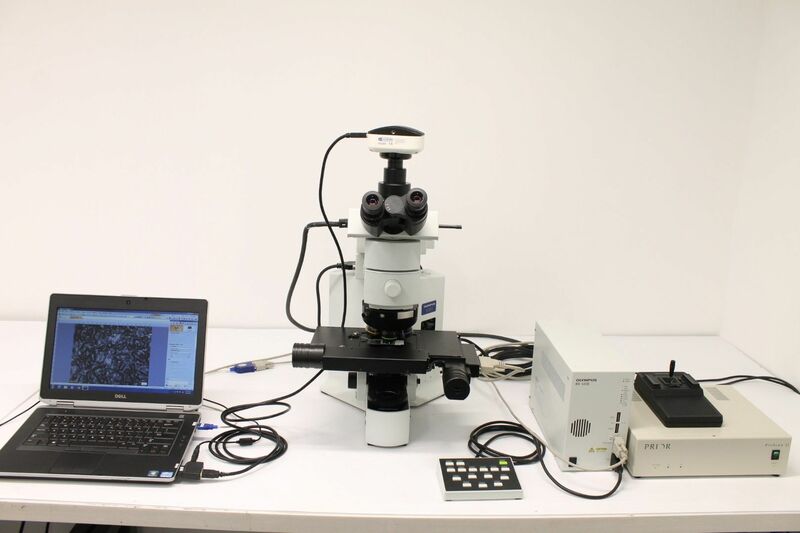 During testing this microscope was found to have no issues. 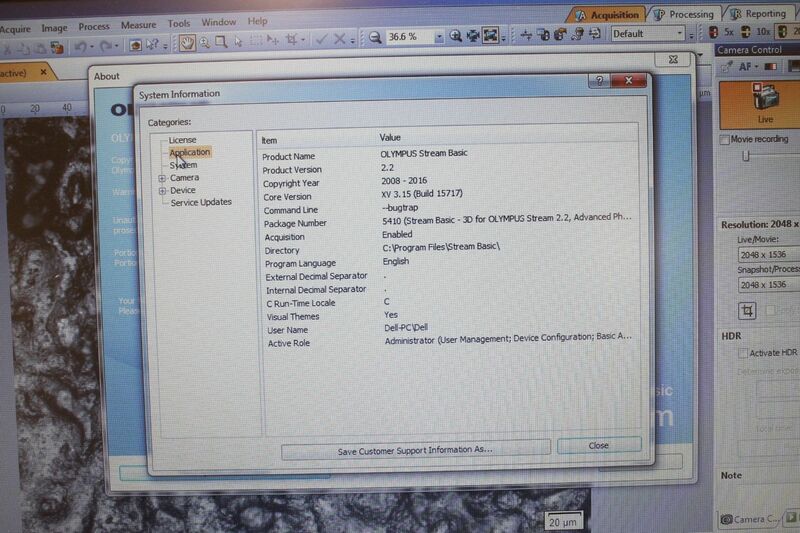 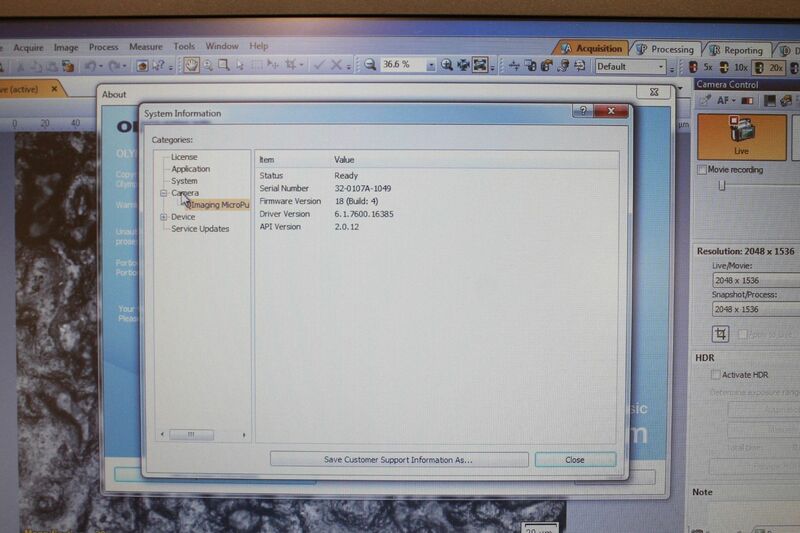 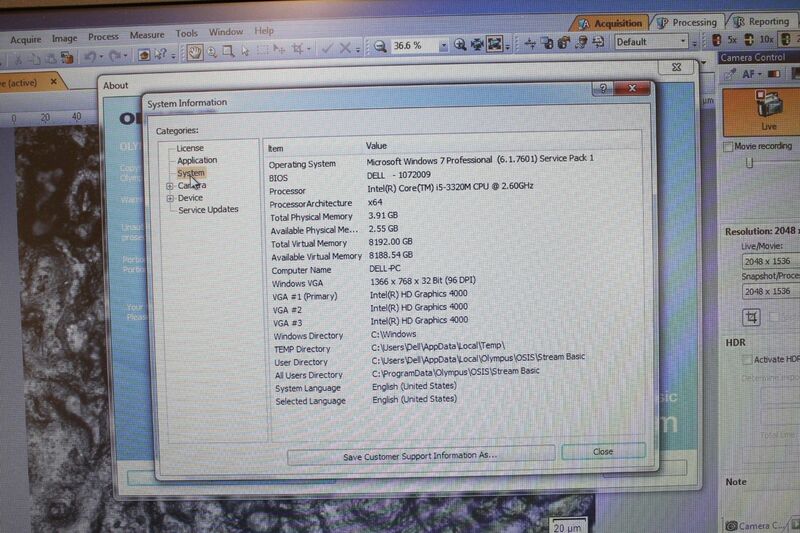 Dell Latitude i5 running Windows 7 Pro with Trial version of STREAM control and image captures software with basic measurements, Olympus BSW Software Motorized control, MicroManager software. 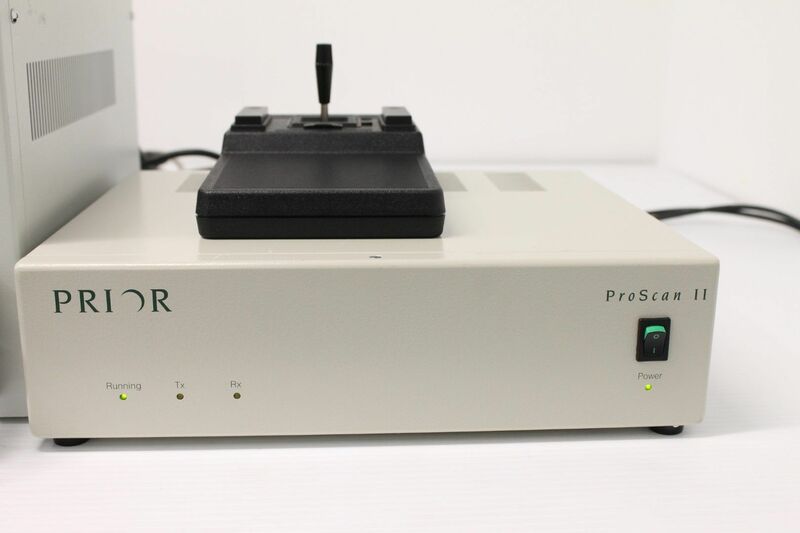 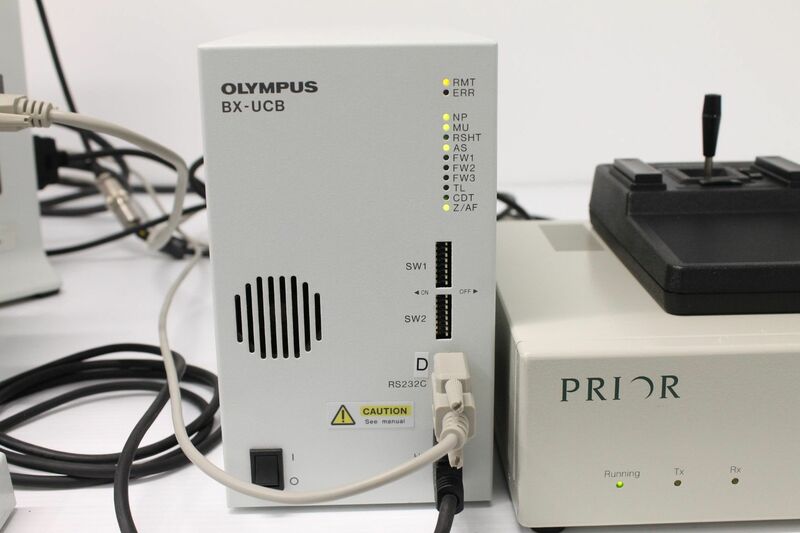 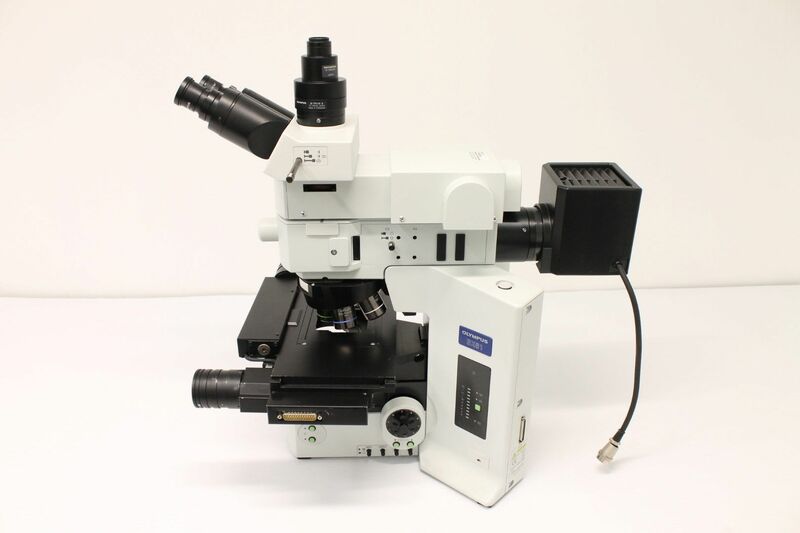 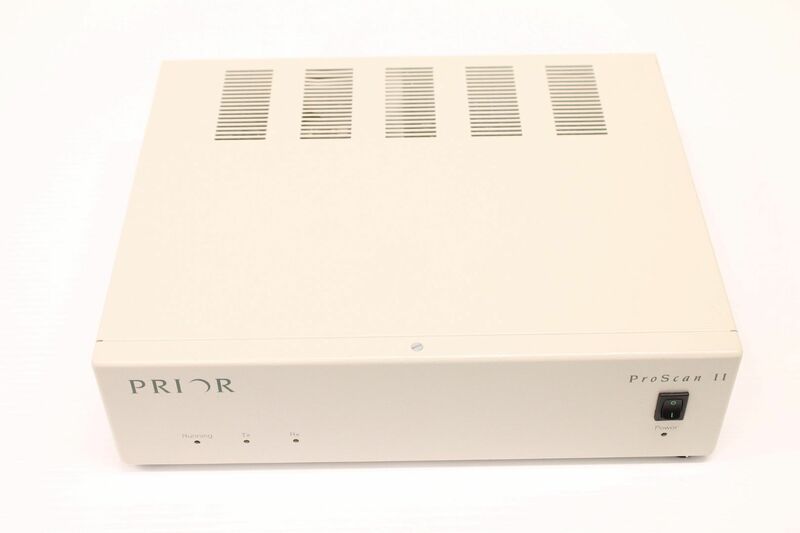 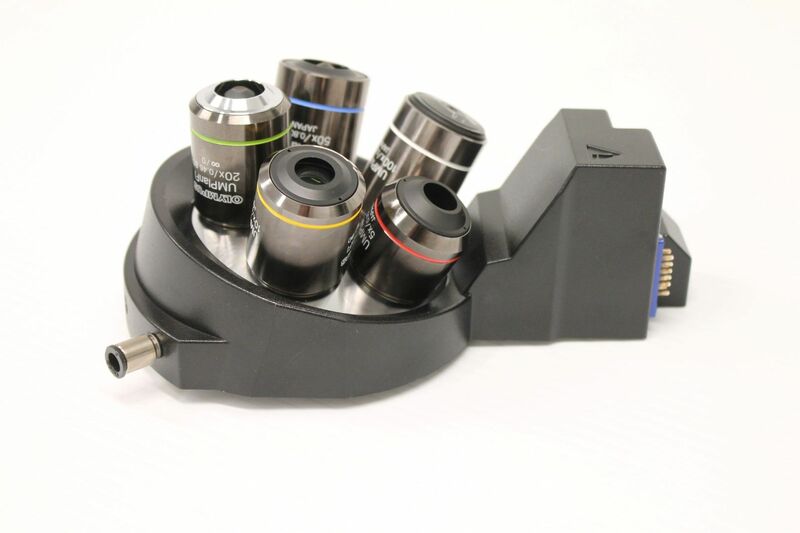 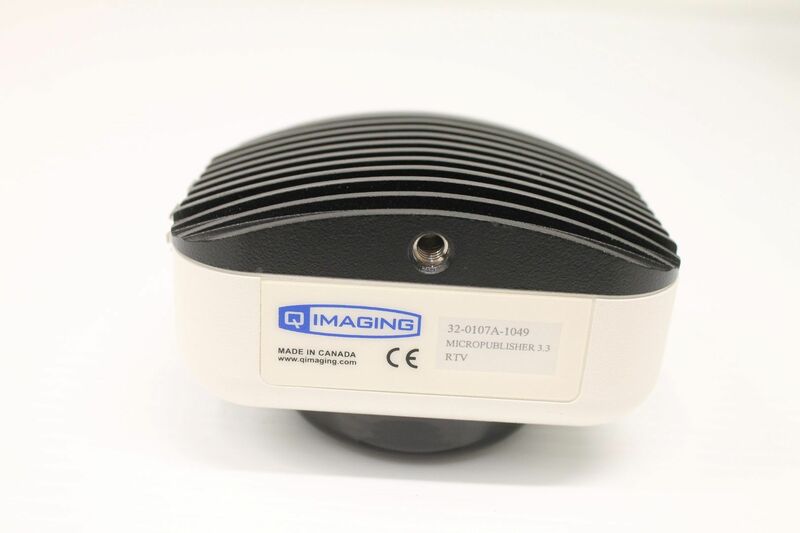 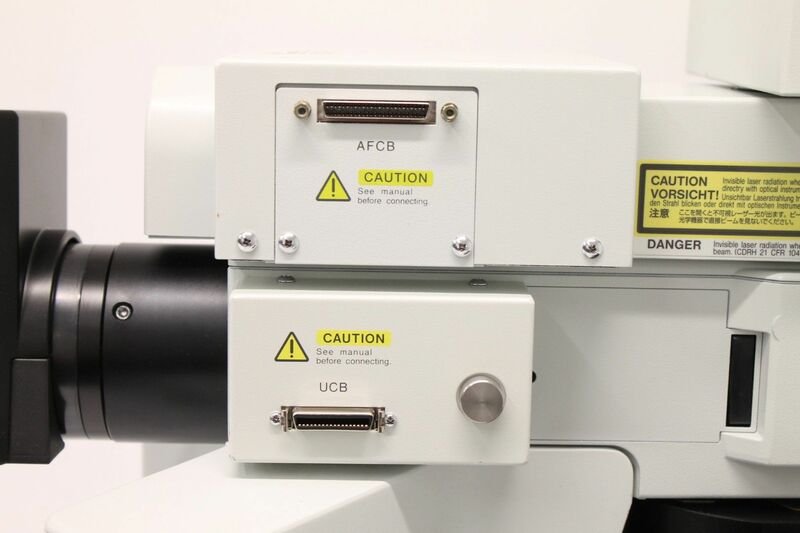 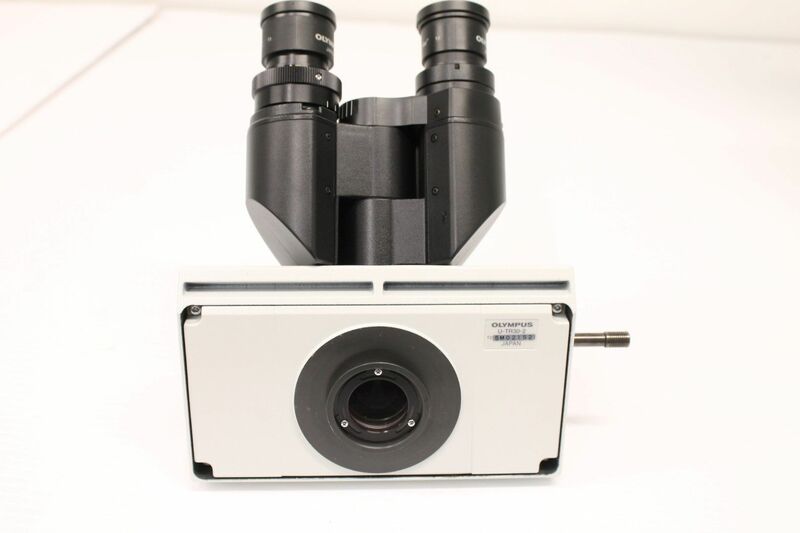 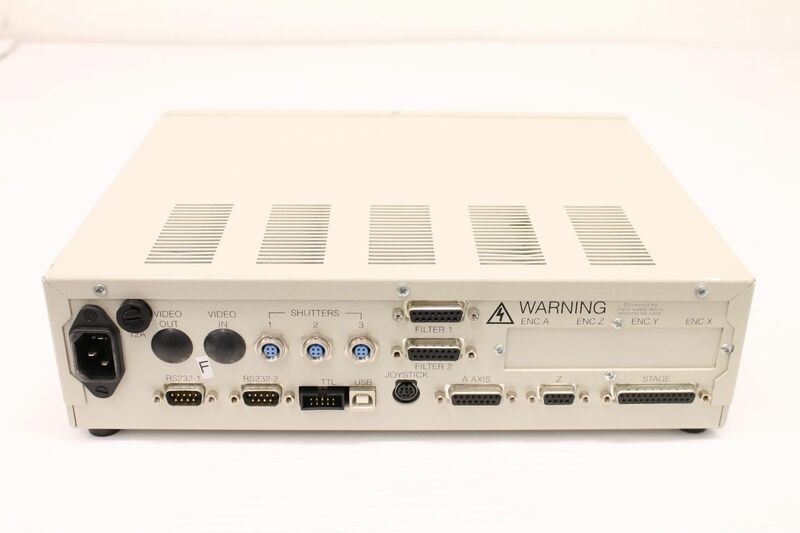 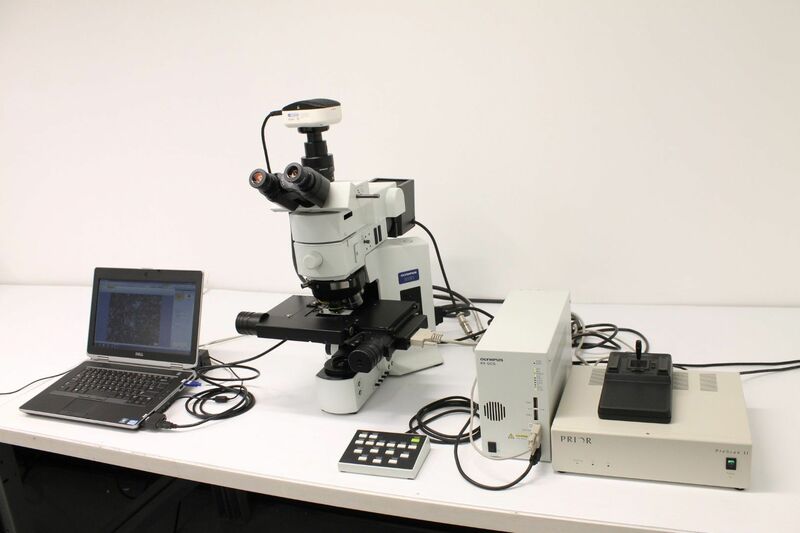 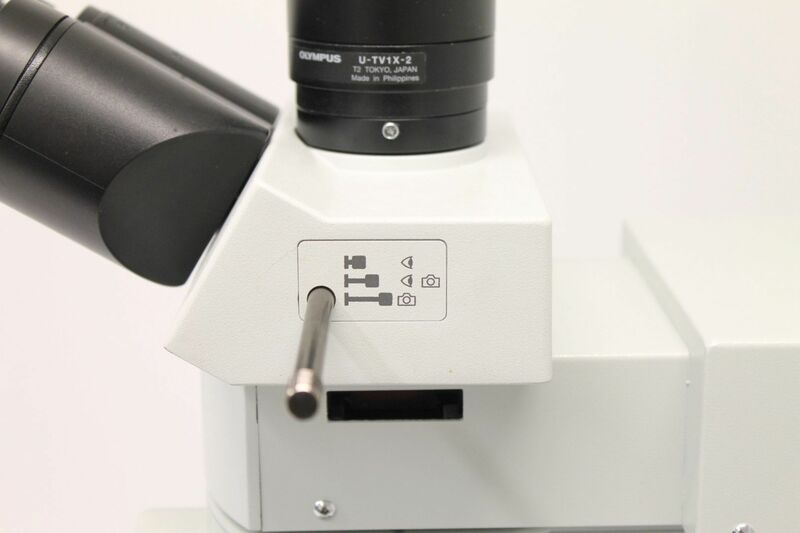 This Olympus BX61 Microscope allows for motorized/computer controlled image capture of material samples using reflective Brightfield and Darkfield. 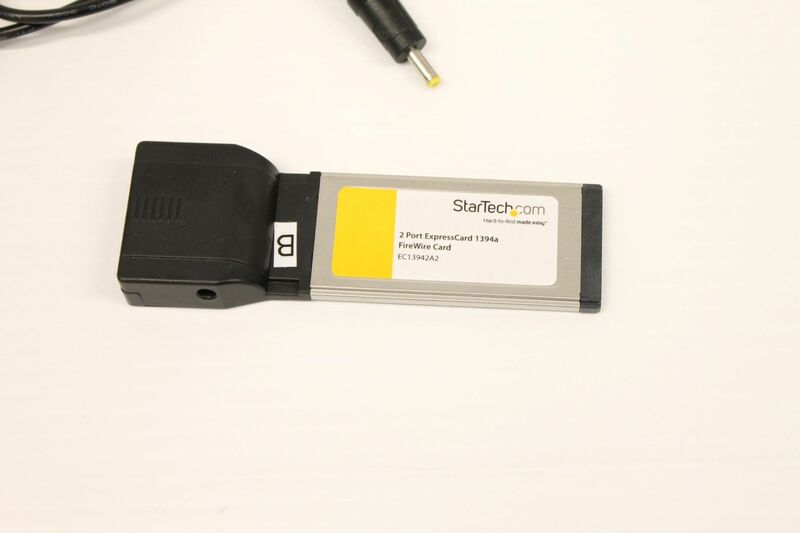 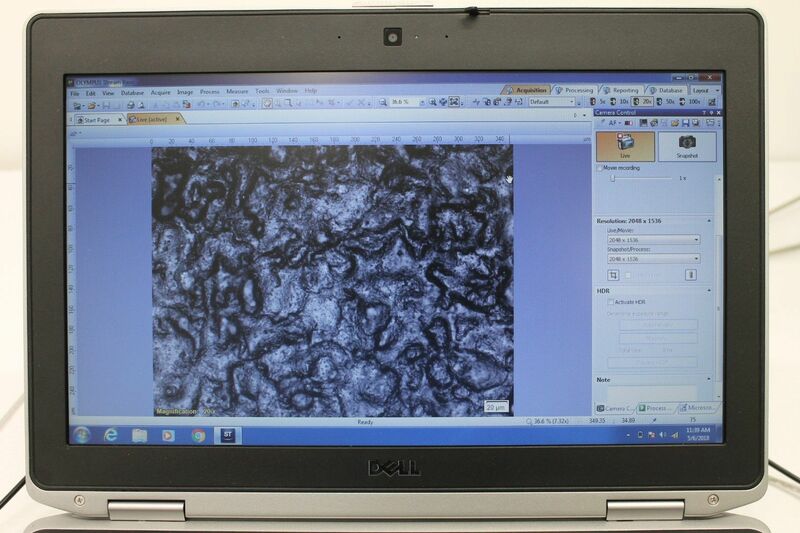 The CCD color digital camera in combination with STREAM software trial included with the laptop is able to take 3.3MP (2048 x 1536) images of the samples with basic measuring. 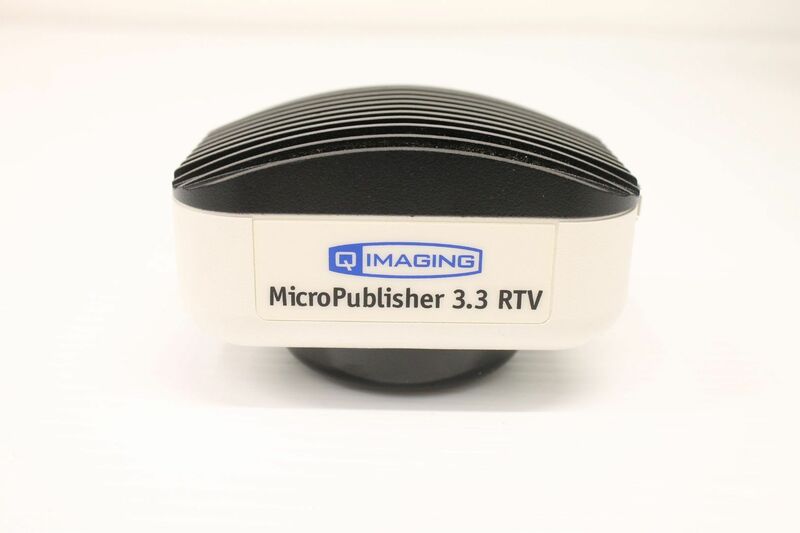 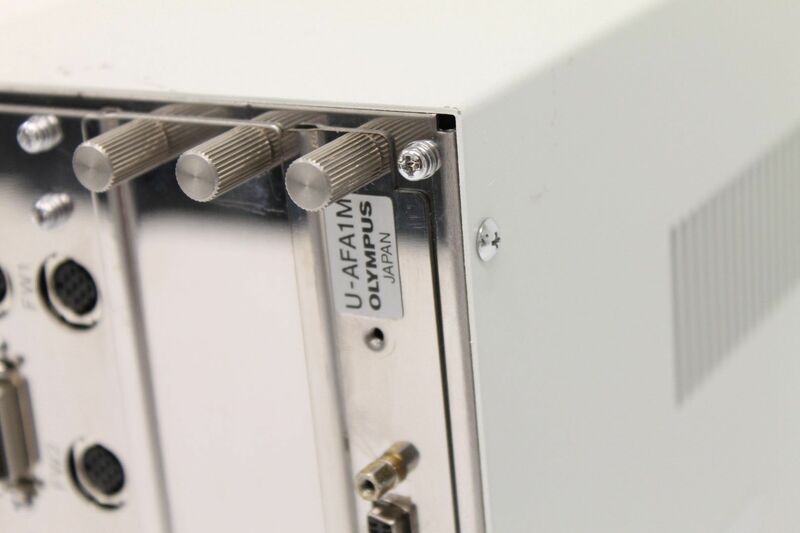 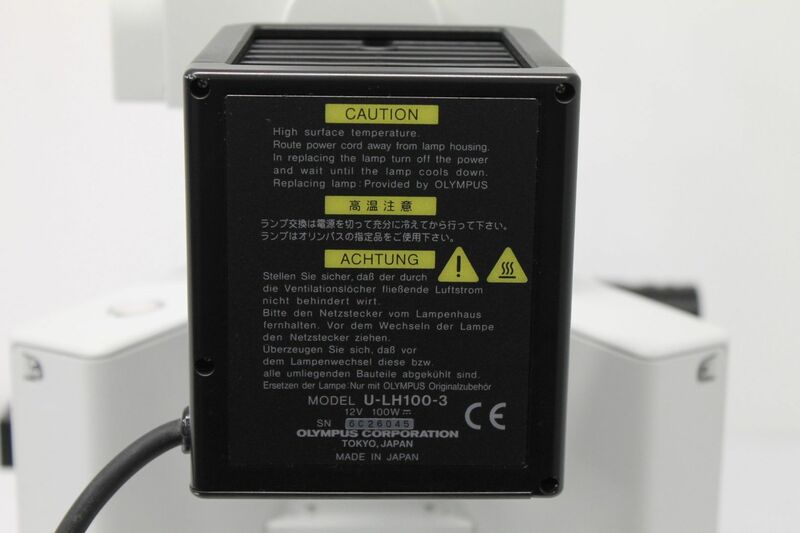 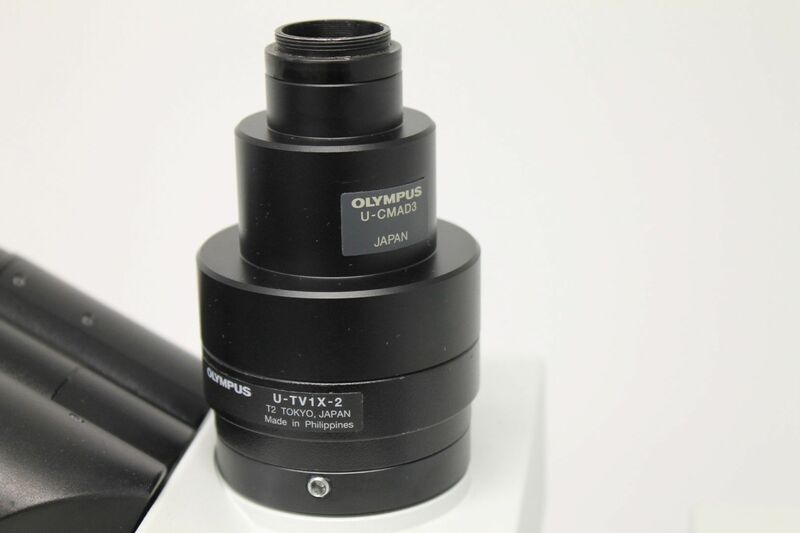 The video starts off with a full view of the Olympus BX61 Microscope. 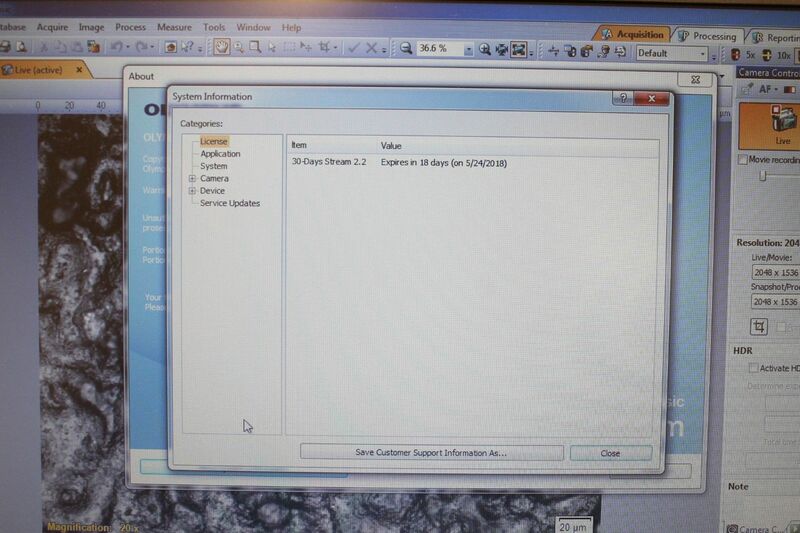 The camera pans into the live feed showing software version. 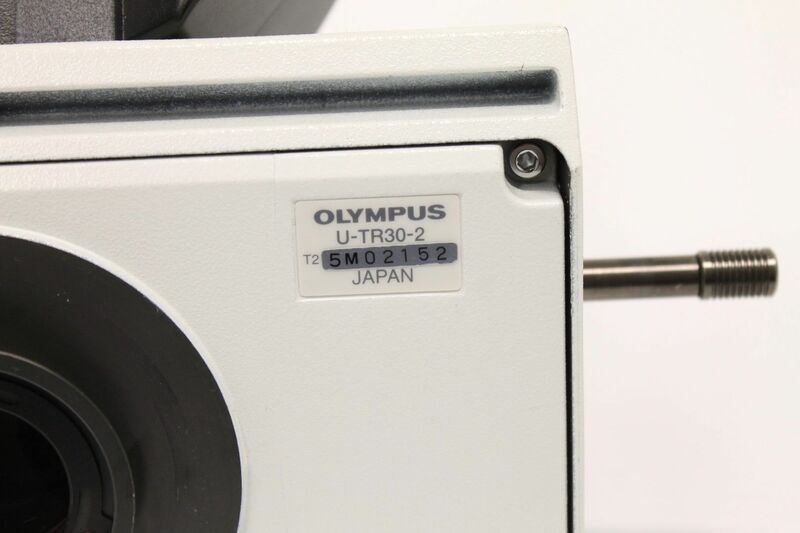 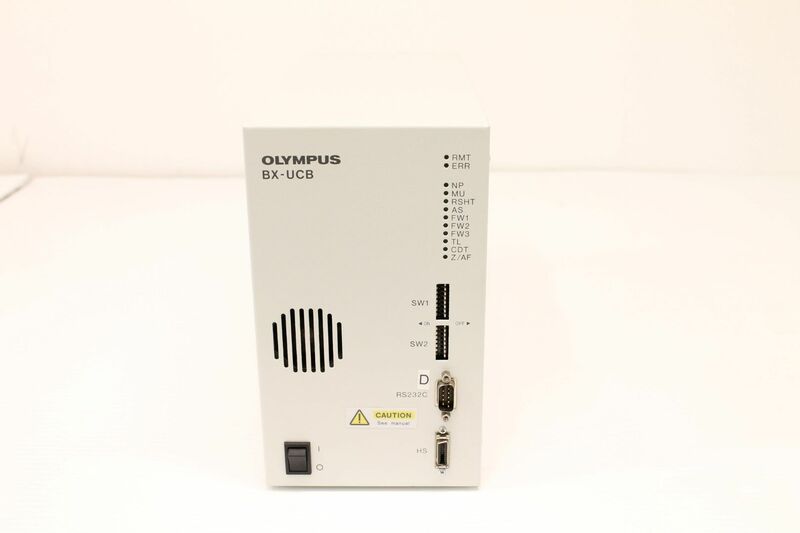 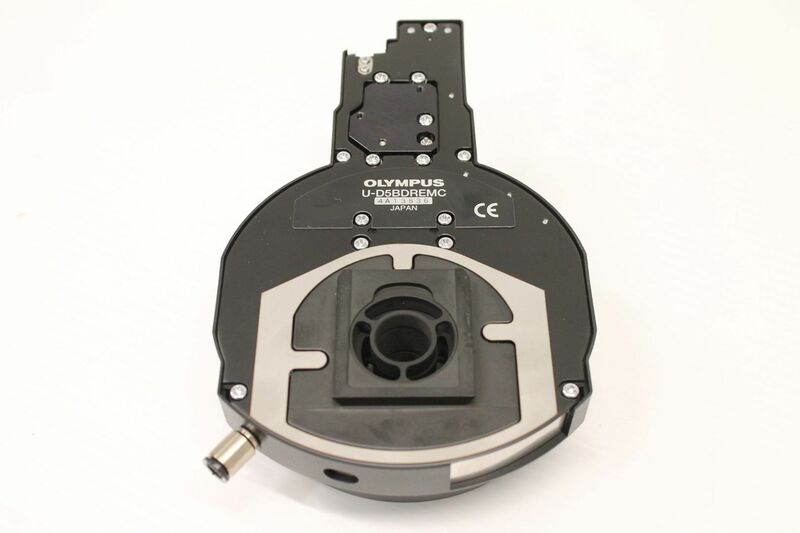 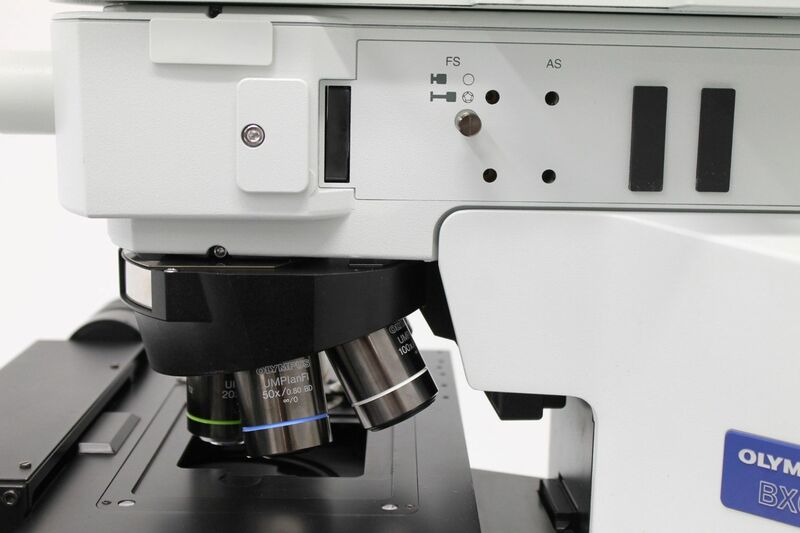 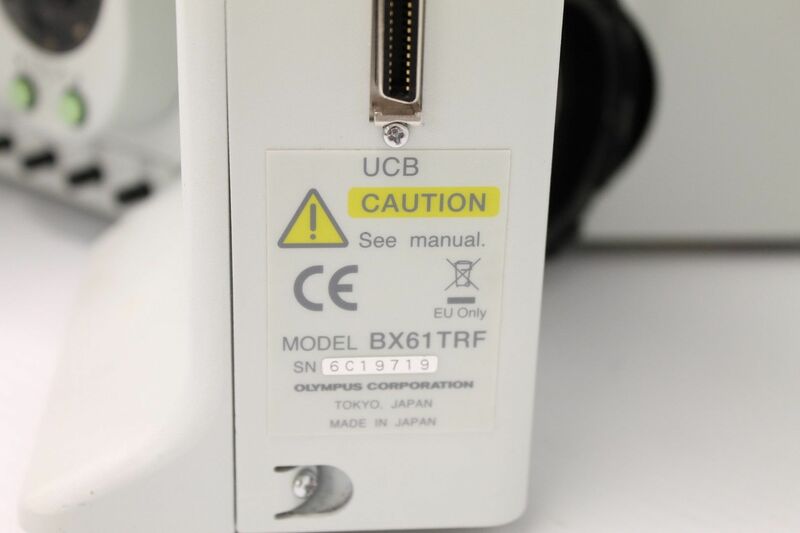 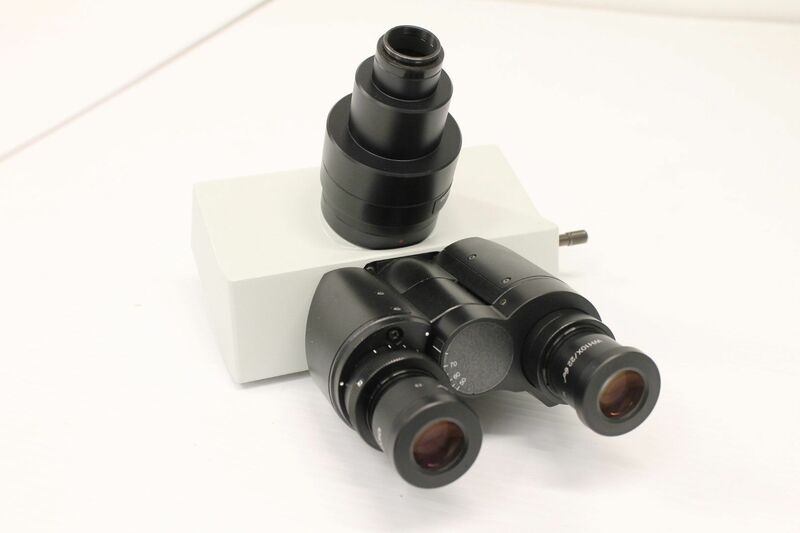 The camera then pans around the entire Olympus BX61 Microscope bringing into focus all aspects possible. 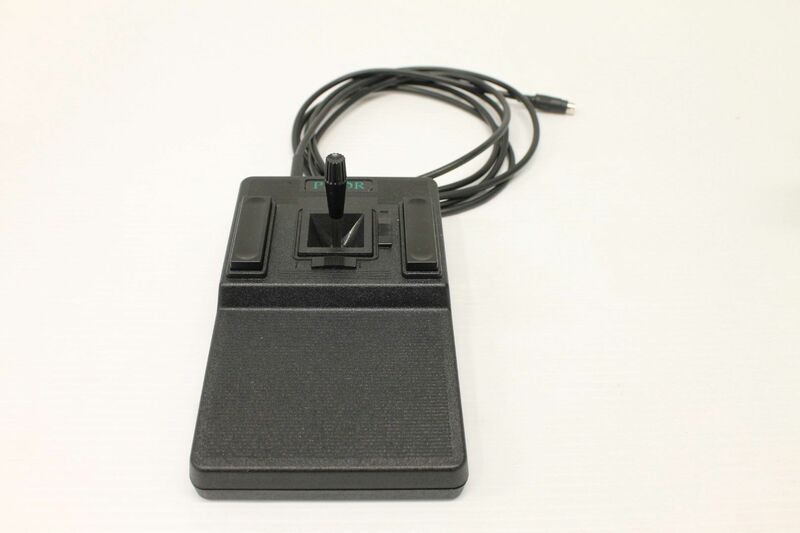 The stage is then moved using the joystick then the computer Stream software, showing on the live feed. 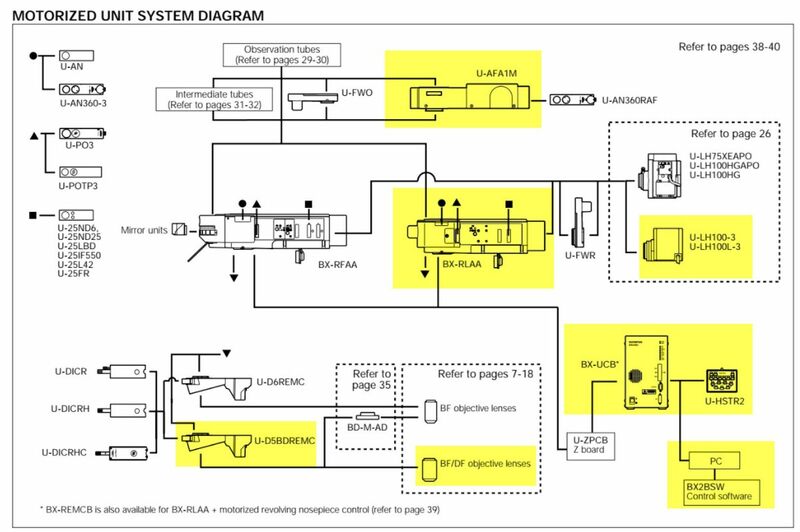 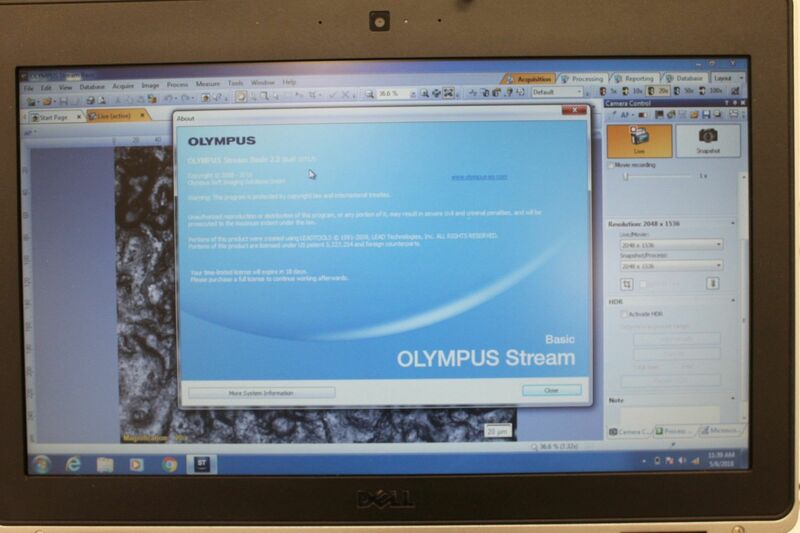 The objectives are moved using the Olympus control pad and then the Stream software. 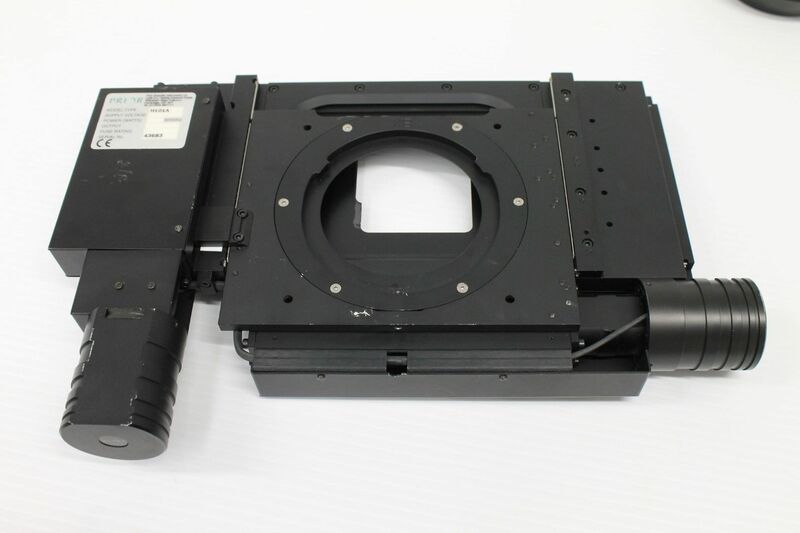 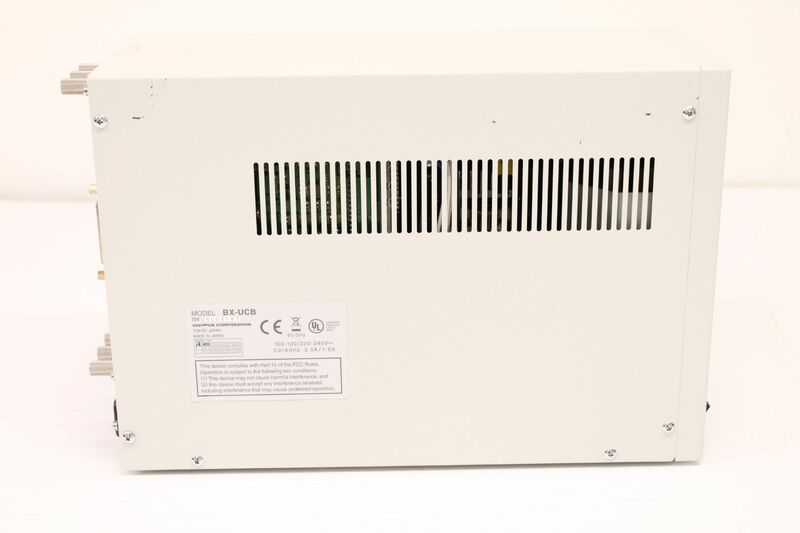 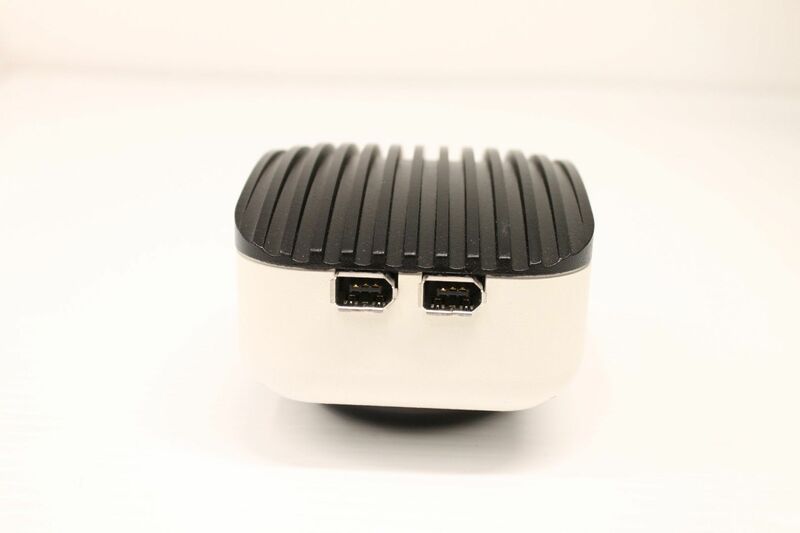 The same is done with hte motorized Z-axis control. 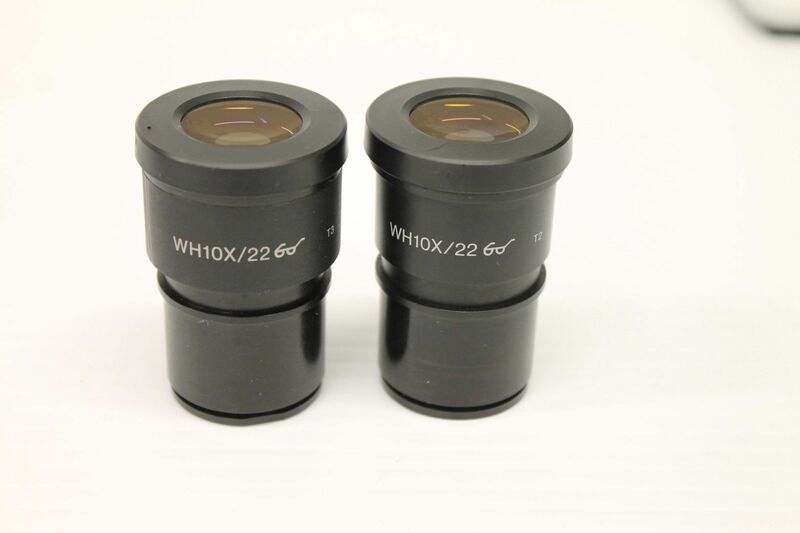 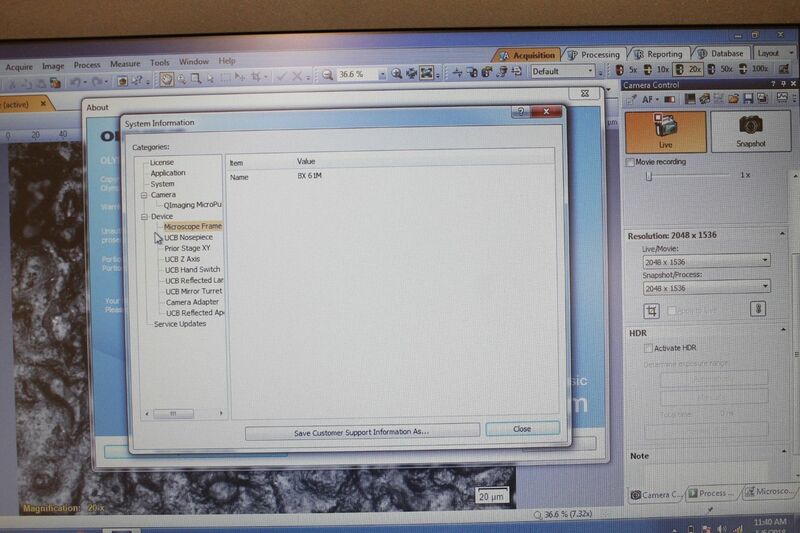 The auto-focus feature in the Stream software is used to bring the sample into focus using the 10x and 20x objectives. 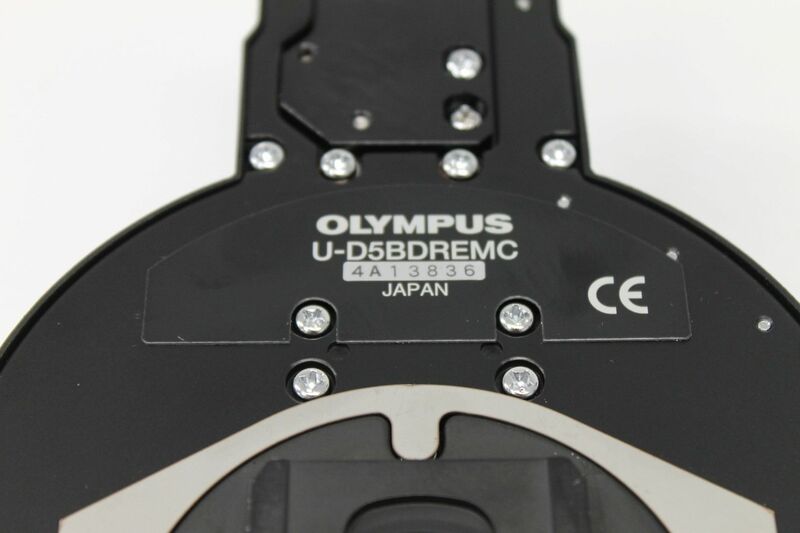 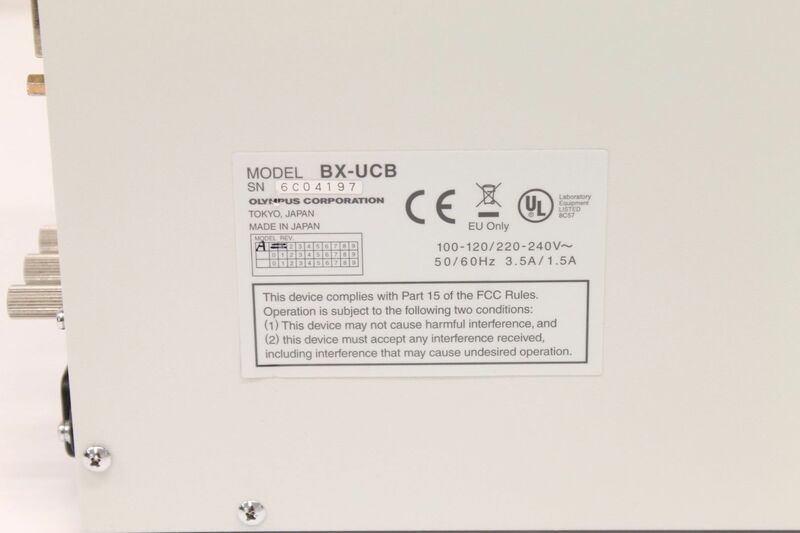 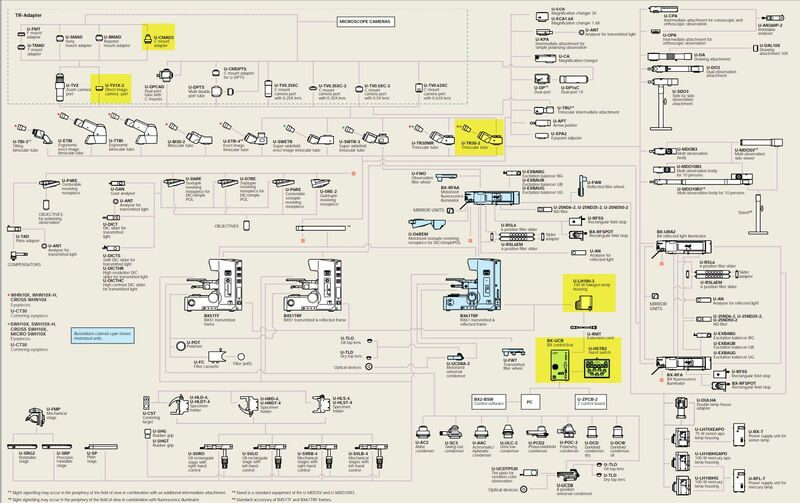 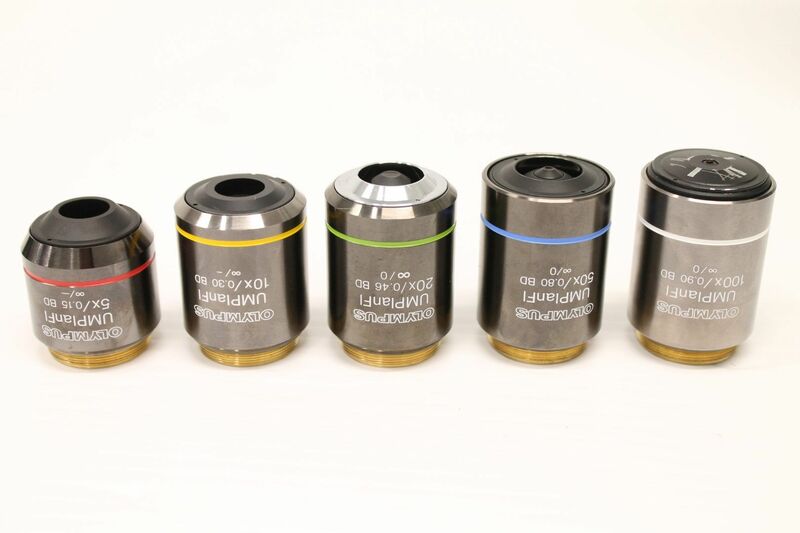 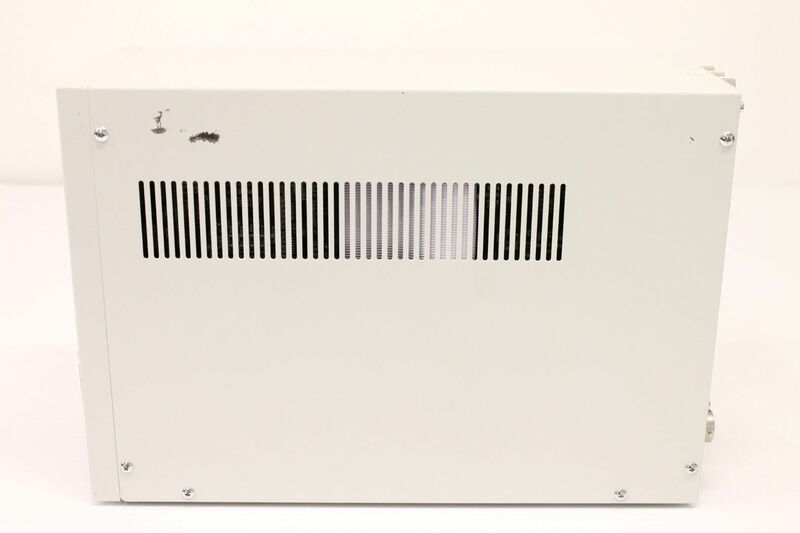 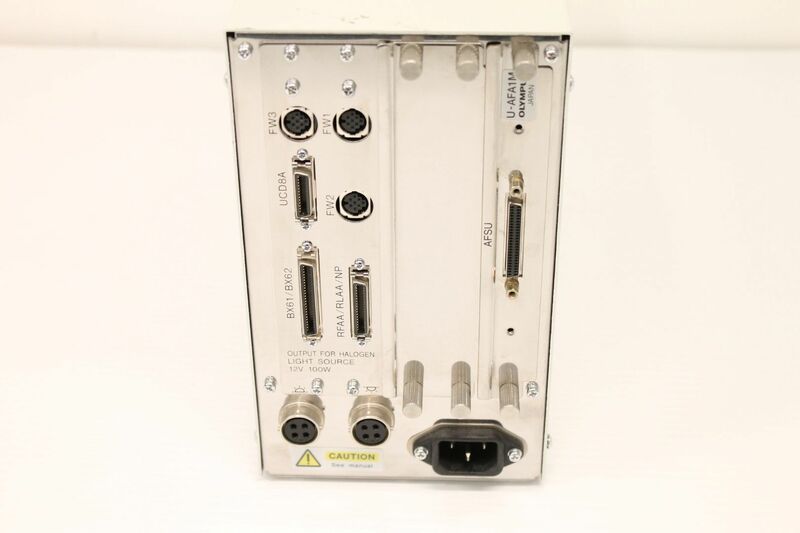 There is one final view of the entire Olympus BX61 Microscope.